It’s time to look at what’s coming out from DC Comics in December 2016. A full list of solicitations is available here. The Batman ’66/Steed and Mrs. Peel crossover comes to an end this month. More of the Impossibles in this month’s “Future Quest,” along with the Mighty Mightor and Birdman. Here, of course, it’s as their action hero selves, not as inept lawyers. Yes, “Astro City” is a $5 issue—but that’s because it’s an extra-sized 100th anniversary issue! Congratulations to Kurt Busiek. 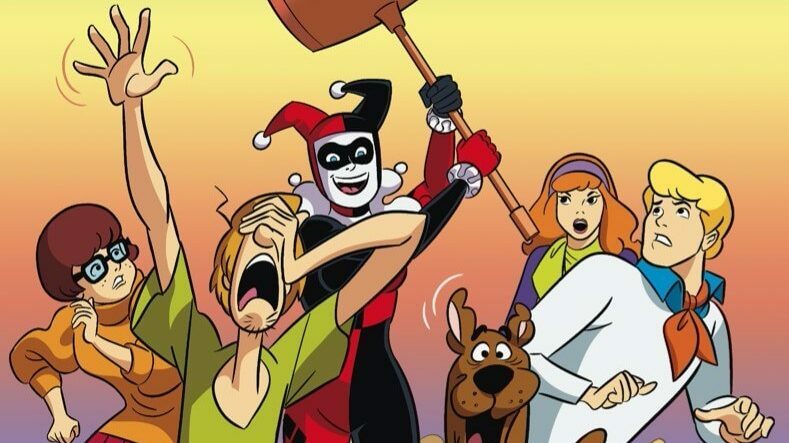 Harley Quinn‘s back in “Scooby-Doo Team-Up.” However, she’s not with Poison Ivy this time, but is supposedly getting away from (as the solicitation puts it) a “lover’s spat with the Joker.” As for why a second appearance of Harley: her first appearance in “Team-Up” surprisingly sold out, and got the book a second printing. It’ll also be the Joker’s first prominent appearance in this title. The Scooby Gang have met the Clown Prince of Crime before, in a pair of “The New Scooby-Doo Movies” episodes. DC’s resoliciting the trade paperback of the Bronze Age “Super-Sons” stories. The “Super-Sons” was a sporadic series of 70s stories by longtime DC writer Bob Haney. The series was about the supposed sons of Batman and Superman (and their unseen wives). The stories usually focused on the Sons trying to step out from under their superhero fathers’ shadows. The Sons were claimed by Haney to be the “real thing,” but were eventually revealed (by a different writer) to only be computer simulations in Superman’s Fortress. Haney wrote one last Super-Sons story in an Elseworlds compilation in the 90s. Why do so many Black superheroes have electrical powers?